Blessed with beautiful natural areas, Massachusetts contains an array of unique attractions for all types of travelers. In cities and towns, visitors will find museums, unique attractions and great restaurants. 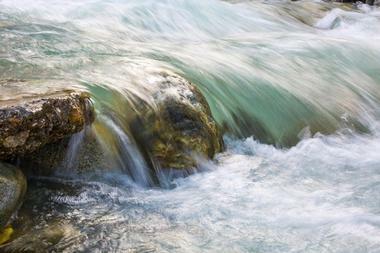 In the more remote parts of Massachusetts, there are waterfalls, miles of hiking trails, and tranquil beaches. 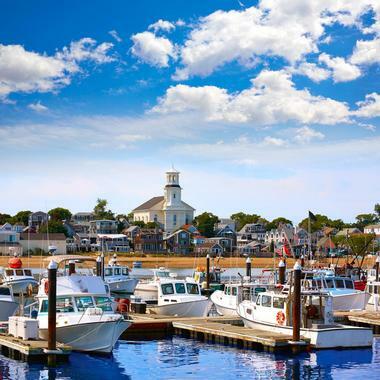 Classic New England towns and quiet fishing villages line the Massachusetts coast. Massachusetts enjoys a unique history that lives on in full force through its special attractions and well-preserved historic places. 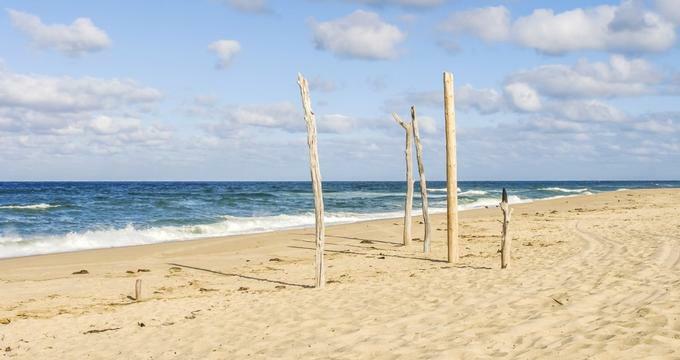 Renowned for its beauty and mystery, Cape Cod National Seashore features an array of diverse animal and plant life. The forty-mile-long beach is backed by marshes, ponds and upland areas. Wild cranberry bogs and ancient lighthouses dot the long coastline. 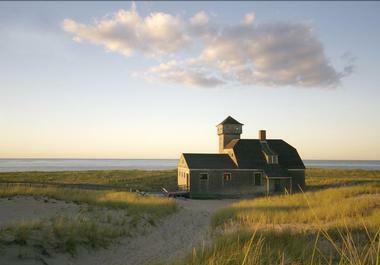 Cape Cod National Seashore is filled with opportunities for sightseeing and exploration. Hiking, biking and relaxing on the beach are some popular activities among visitors. There are also designated areas for hunting and fishing, but these activities are only permitted at certain times of the year. Cape Cod National Seashore management also runs junior ranger and junior lifeguard programs for children. 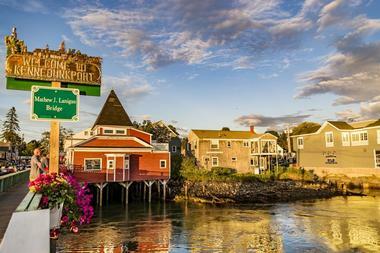 Kennebunkport is a historic seaside town with a rich seafaring culture. Home to roughly 3,500 people, Kennebunkport is the summer home of former US President George H.W. Bush. Several prominent world leaders, including Margaret Thatcher, Mikhail Gorbachev, Vladimir Putin and Nikolas Sarkozy, have spent time in this New England town. 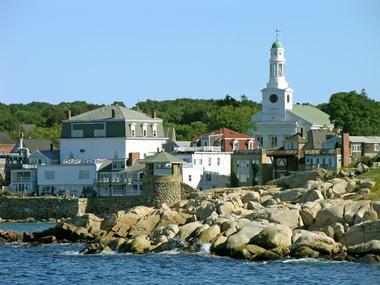 Rockport is home to roughly 7,000 people. This quaint New England town sits at the tip of Cape Ann peninsula and is surrounded on three sides by the Atlantic Ocean. Once home to a handful of Native American villages, Rockport's modern population consists mainly of fishermen and artists. Tourists enjoy seeing Rockport's beaches and walking around the historic downtown area. Halibut Point State Park, Thacher Island, the Paper House, and the Rockport Art Colony Galleries are among the popular tourist attractions in the area. 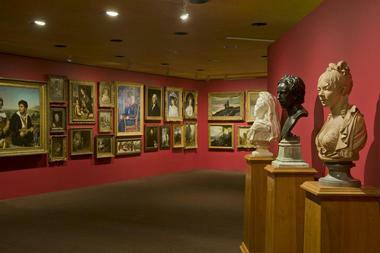 There are also several museums and performing arts centers in town. 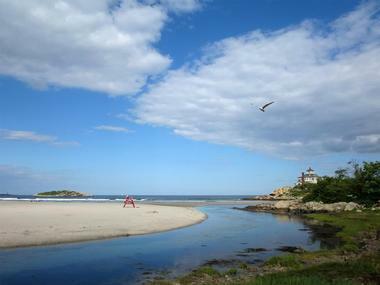 Located near the city of Gloucester, Good Harbor Beach features soft white sands and dramatic views of the Atlantic Ocean. When tide conditions are right, visitors can walk out to Salt Island or enjoy some boogie boarding and body surfing. Life guards patrol the beach daily from Memorial Day to Labor Day. Good Harbor Beach contains restrooms, restaurants, concessions stands, mini marts and other amenities. Paid parking is available near the beach at the general rate of $25 per vehicle or $30 per vehicle on holidays. Since parking space is limited, visitors are encouraged to come early. 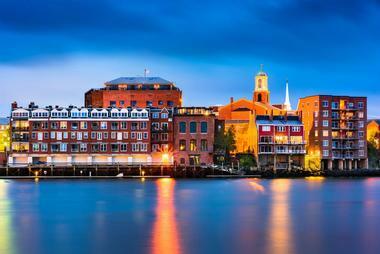 Portsmouth, New Hampshire, is another iconic coastal town that draws tourists from all over the United States. Portsmouth is packed with history, and some of its most popular attractions include historic homes, forts, cemeteries, gardens, and parks. For families, Portsmouth boasts New England's largest water park along with a marine and science discovery center. 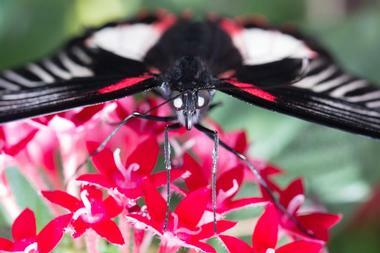 At the Butterfly Place visitors can learn all about butterflies from around the world. The unique observation center gives guests the chance to see and interact with butterflies in their natural habitat. Koi fish and quail birds live among the hundreds of butterflies in the exhibit. 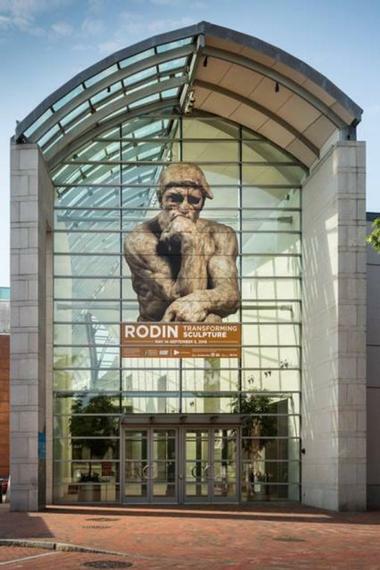 The Peabody Essex Museum, known simply as PEM, contains an array of interesting and beautiful art objects. PEM began in 1799 when pilgrims brought art to North America from Asia, Oceania, India and elsewhere. Known early on as a “cabinet of natural and artificial curiosities,” PEM officially gained its designation as a museum in the early 20th century. 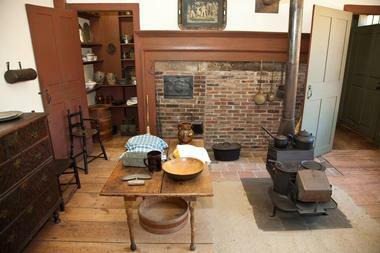 Old Sturbridge Village is a living history museum where guests can get a feel for life in the 1830s. The village features authentic homes, a conference center, a store, a tavern, a sawmill, some barns, a church and a gift shop/bookstore. 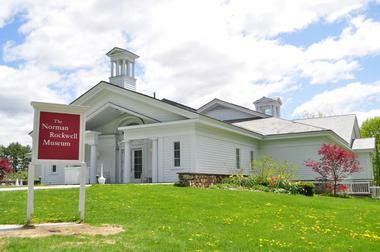 The Norman Rockwell Museum pays tribute to one of America's most iconic artists. Born in 1894, Norman Rockwell formerly began his art studies at age 14. He honed his skills while attending some of the most prominent art institutions in the United States. 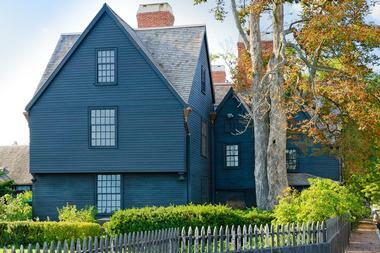 The House of the Seven Gables is a stately cabin that dates back to the mid-1600s. Built by a sea merchant named John Turner, the home stayed in the Turner family for three generations before being sold to Captain Samuel Ingersoll in 1782. 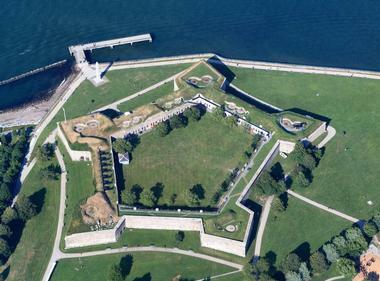 Castle Island Park is home to Fort Independence, a pentagon-shaped granite fort that was erected between 1834 and 1851. The impressive structure sits on 22 acres of protected land. Easily reachable from Carson Beach and M Street, Castle Island Park offers beautiful views and plenty of amenities for visitors. Known as a haven for artists, Provincetown is hailed as America's First Destination because of its pilgrim heritage. The coastal town only has 3,000 permanent residents, but its summer population soars to 60,000+ people. It is one of the most popular areas in the nation for vacationers from the LGBTQ communities. Provincetown is also home to one of America's oldest continuous art colonies. 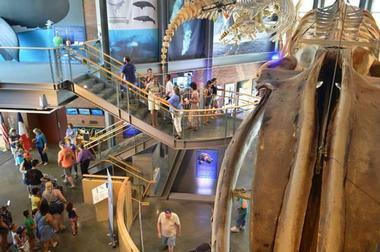 The New Bedford Whaling Museum tells the story of Massachusetts' robust whaling industry. Founded in 1903, the Museum is home to some fascinating artifacts, including the world's largest ship model, the world's largest collection of whaling logbooks and the biggest collection of Japanese whaling art outside of Japan. The Clark Art Institute is a museum and academic research center that was established by Sterling and Francine Clark in the early 1900s. The institute boasts an impressive collection of sculptures, paintings, drawings and prints from American and European artists. Castle Hill on the Crane Estate is a stunning seaside mansion known for its immaculate grounds. 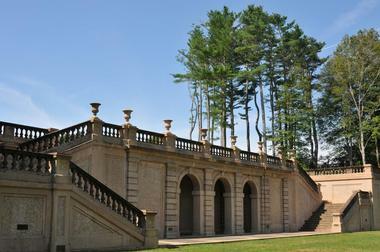 Purchased by Richard T. Crane in 1910, Castle Hill was designed by some of the most notable architects of Crane's time. The 59-room mansion that sits atop Castle Hill today was designed by renowned architect David Alder. Guided and self-guided tours are available at the estate at different times throughout the year. During these tours, visitors can spot all sorts of interesting wildlife, including deer, fox, turkey, migrating birds and hawks. Amenities at Castle Hill include public restrooms and a snack bar. Guests who would like to stay overnight can book rooms at the Castle Hill Inn. 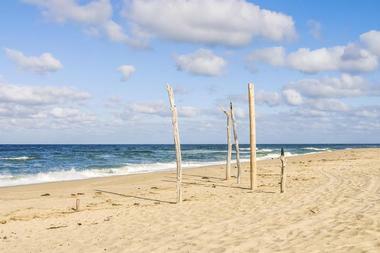 Race Point Beach is a popular recreational area along the Cape Cod National Seashore. Famous for its treacherous waters, more than 3,000 shipwrecks were recorded off the coast of Cape Cod in a 300-year period. Shipwrecks happened so frequently that the Massachusetts Humane Society set up the world's first lifesaving service in the early 1800s. Today, Race Point Beach is known for its meandering bike trails and expansive views of the Atlantic Ocean. Amenities at the beach include restrooms that are equipped with showers and changing areas. Race Point Beach sits just of Route 6 in Provincetown. Situated half an hour outside of Boston, Wompatuck State Park is the perfect spot for a fun-filled weekend getaway. The park holds more than 250 campsites, 140 of which are equipped with electricity. In addition to ample camping space, Wompatuck has 12 miles of paved bicycle paths and a multitude of hiking, mountain biking and horseback riding trails. Visitors can catch fish at Cohasset Reservoir or load up on fresh drinking water at Mt. Blue Spring. Wompatuck is named after Josiah Wompatuck, an Indian chief who gave the park land to English settlers in 1665. 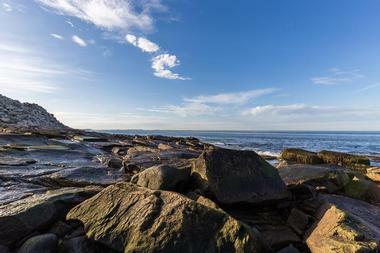 Open year-round, Halibut Point State Park is known for its incredibly picturesque seascape. Ocean-carved rock and dramatic cliffs line the coastal region within the park. There are plenty of areas for hiking, biking, bird watching and relaxing. Clear weather days allow visitors to get a glimpse of New Hampshire and Maine. On Saturdays between Memorial Day and Columbus Day, visitors can take a tour of the nearby granite quarry and get a firsthand look at how granite is sourced and cut. Entrance fees to Halibut Point State Park are $5 for cars with Massachusetts plates and $6 for vehicles with out-of-state plates. The town of Concord has several claims to fame. In its early days, the town was known for being the first settlement located away from the tidewater on a non-navigable river. 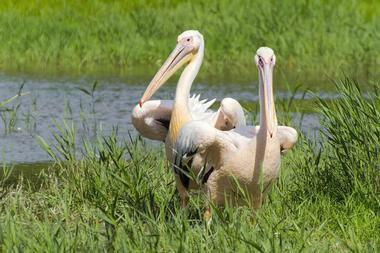 Concord evolved into an important seasonal Indian camp site due to its diverse bird and fish life. 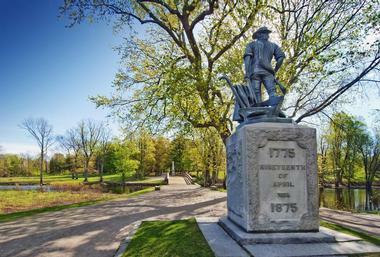 In 1775, Concord became the first battle site in the Revolutionary War. Some of America's most prolific writers, including Henry David Thoreau, Nathaniel Hawthorne and Ralph Waldo Emerson, spent time in this important town. Today, visitors can stop by the Concord Visitor Center to learn all about the town's unique history. The North Shore's Great Marsh area is known for being the longest continual stretch of salt marsh in New England. The marsh extends from Cape Ann to New Hampshire. Recognized worldwide as an Important Bird Area (IBA), Great Marsh is protected and managed by the state of Massachusetts. The 20,000-acre site contains marsh lands, barrier beaches, estuaries and upland islands. Thanks to its varied geography, Great Marsh is ideal for hiking, kayaking and wildlife spotting. An organization named the Great Marsh Coalition runs education and outreach efforts to teach people about the value of Massachusetts' marsh lands. The Naismith Memorial Basketball Hall of Fame is dedicated to the more than 300 famous players who have been inducted in the hall's 50+ year history. 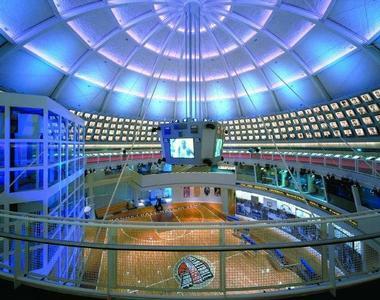 The 40,000 square-foot space contains all types of basketball memorabilia. Salem, Massachusetts is known worldwide for being the site of the infamous Salem Witch Trials in 1692. Outside of its colorful history, Salem is known for being a peaceful seaside town with all sorts of interesting tourist attractions. One of Salem's most popular offerings is the Bewitched After Dark Walking Tours, where visitors can stroll around the streets of Salem as part of a tour led by a modern-day witch. 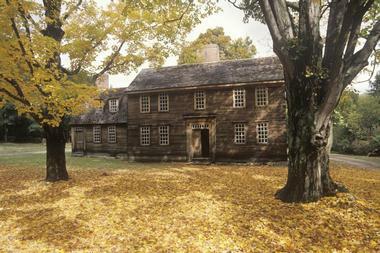 Visitors also enjoy seeing the Corwin House (The Witch House), and Burying Point, the oldest cemetery in Salem. For a change of pace, tourists can hop on a Mahi Mahi Cruise to see the beautiful coastline that surrounds Salem Sound. 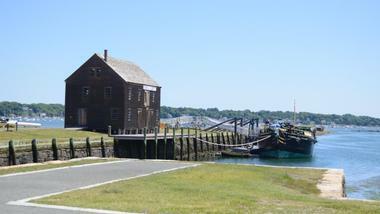 There is also the Salem Witch Museum, the Salem Haunted Magic Show and more. 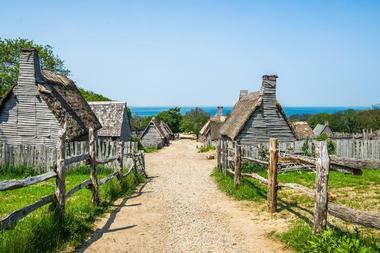 Plimoth Plantation is a living history museum located less than an hour outside of Boston. Known for serving as the set for many modern films, Plimoth Plantation began in 1947 with two English cottages and a small waterfront fort. Now Plimoth contains a range of historic pieces, including the Mayflower II, the Wampanoag Homesite, several barns, and a grist mill. Plimoth Plantation regularly holds educational and seasonal events for families. The Plantation also partners with schools to provide in-classroom demonstrations and to facilitate hands-on history lessons. Plimoth Plantation is open for visitors year-round from 9:00 AM-5:00 PM each day. Lexington, Massachusetts, is another key city in American history. Steeped in rich Revolutionary War history, Lexington has more than 10 historic battle sites, cemeteries and memorials. At the Minute Man National Historic Park, visitors can learn all about the young men who put their lives on the line to protect colonists. Visitors can also see the Lexington Battle Green, where the war with Britain began in earnest in 1775. At the USS Lexington Memorial, there are five granite markers that are dedicated in memory of the people who served aboard the Lexington ships. Tourists can also stop by the Lexington Depot to see the historic train. Glendale Falls is one of the longest and strongest waterfalls in Massachusetts. Fed by more than five square miles of watershed areas, Glendale Falls is a relaxing and scenic destination. 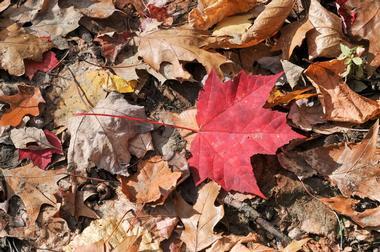 In the forest surrounding Glendale Falls, visitors can see many types of beautiful trees and bushes, including hemlock, birch, beech, maple, shadbrush and mountain laurel. Several short trails in the area provide visitors with unobstructed views of Glendale Falls and the quiet woods that surround it. Glendale Falls is open year-round and admission is free for all. There is plenty of parking nearby. Located about 20 miles from Boston, deCordova Sculpture Park and Museum is at 30 acres the largest park of its kind in New England. It was established in 1950 in order to renew interest in sculptures and to become a major sculpture park. There are about 30 large-scale sculptures in the park, most on loan from various owners and artists. The exhibited sculptures are constantly changing, representing high quality contemporary artworks and site-specific installations. deCordova holds a range of year-round activities that include snowshoe tours, nature tours, yoga in the park, curator and artist conversations, special talks, events, and screenings. DeCordova is home to Lincoln Nursery School, probably the only American preschool located within a contemporary art museum.